We’re travelling at the speed of light, that’s why we’re on a news site. The UK’s fintech scene is chock-full of sweet accelerators and incubators – powering the industry ever onwards. In their 76-page report, “Business incubators and accelerators: the national picture”, the UK Government and innovation foundation Nesta paint a pleasant portrait of energy and ambition. The growth has been good. The vast majority of accelerator programmes in its data base have been created since 2011. While just over half (54%) of incubator programmes have also been created since that year. Information on these programmes was collected between November 2016 and March 2017, and its data shows there are currently 205 incubators, 163 accelerators, 11 pre-accelerators, seven virtual accelerators and four virtual incubators active in the UK. London, unsurprisingly, dominates as more than half of accelerators are currently based in the dirty beating heart of the nation. 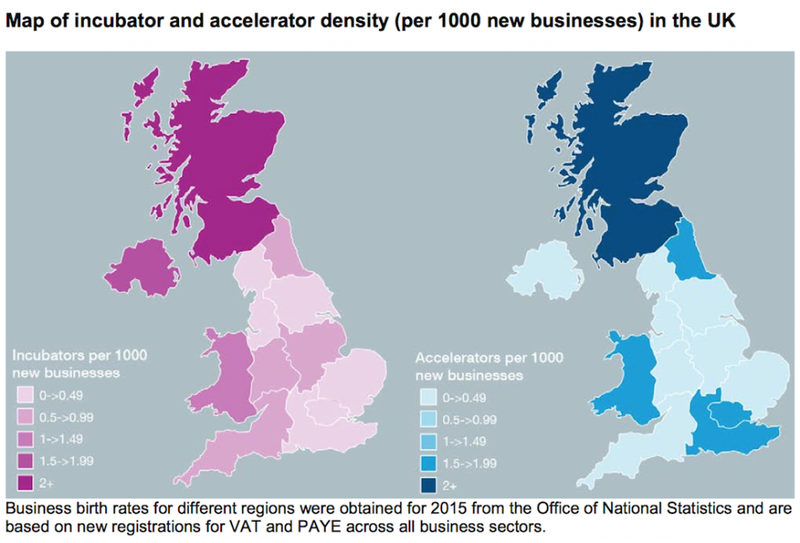 While most accelerators are concentrated in the capital, there is a trend towards other cities such as Birmingham, Bristol, Cambridge and Manchester. A similar trend was not observed for incubators as they have always been more evenly distributed throughout the UK. According to the report, incubators are predominantly funded by the fees or rent they charge residents. In contrast, accelerators are most often funded by corporates. Furthermore, this trend for corporate funded accelerators appears to be growing very rapidly. You can view the full report and a directory of business incubators and accelerators here. We need to find new and innovative ways of solving big social issues. Applications are open for next phase of its “Open Up Challenge”.